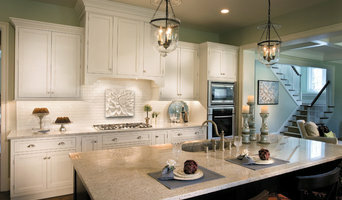 Long Island's Full-Service Kitchen and Bath Remodeler - Best of Houzz! Our beautiful custom designs and creative solutions combined with quality products and services make our company the most competitive in the area. 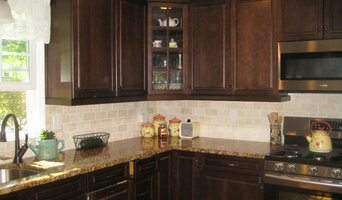 We are factory direct dealers and distributors of the best made cabinets on the market. Our quality products and professional designs combined with unbeatable prices help our customers finish their projects on time and within their budget. Our showroom is conveniently located on Rt. 110 in Huntington Station, but our services are extended throughout Long Island and New York City. INNOVATIVE IDEAS, CREATIVE DESIGN, AND FLAWLESS EXECUTION ARE AT THE CORE OF OUR PHILOSOPHY. At European Kitchen Center, we are a knowledgeable group of home design professionals who can reinvent your home into a modern utopia. We combine an in-depth knowledge of home design with the latest innovations to create an exceptional look for your space. Our home design projects range from individual apartments and townhouses to multi-unit condominiums. We offer a total home approach where the kitchen is integrated with the living space. Our designers offer clients an array of possibilities to meet their specific tastes and budgets. We take extra care to discover our customer’s needs, taste, and lifestyles. Discover how we can meet the needs of discerning homeowners and take inspiration for your own home. Homeowners Our product line comes directly from Europe, a worldwide source of quality and innovation. Our cabinetry is made to be durable and eco-friendly. We take great effort to continuously be at the forefront of design innovations. Architects And Designers We partner with your design team and work collaboratively on any project. We will provide 3Drenderings, elevations, floor plans that will thrill your clients and allow you to focus on completing the project on time. 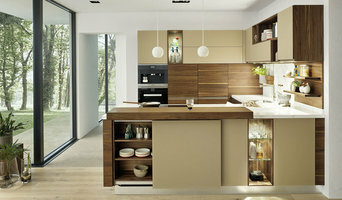 Superior Product Line We offer the latest in contemporary kitchen design. Our semi-custom european kitchens bring elegant, sophisticated and refined solutions to any space. In addition, Central Islip, NY cabinetry pros can help you give worn or dated cabinets a makeover. They can replace doors; add glass inserts, decorative moldings and other details; or give cabinetry a new coat of paint or specialty finish. Your cabinetry professional might work closely with a New York kitchen designer, builder, remodeling contractor or interior designer. Here are some related professionals and vendors to complement the work of cabinets & cabinetry: Kitchen & Bath Designers, Kitchen & Bath Remodelers, Interior Designers & Decorators, Closet Designers and Professional Organizers, Woodworkers & Carpenters. Find a cabinetry professional on Houzz. Narrow your search in the Professionals section of the website to Central Islip, NY cabinets and cabinetry. You may also look through New York photos to find examples of cabinets that you like, then contact the cabinetry professional who worked on them.